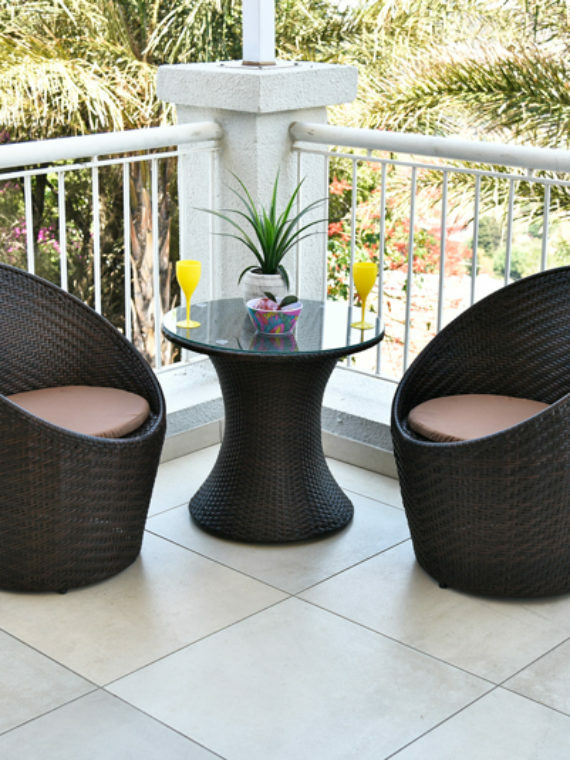 Enjoy relaxing on a lazy Sunday on this generous Miami Patio Set. 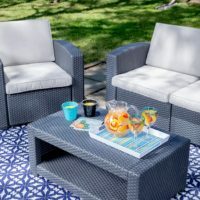 The Miami Patio Set is a comfy choice for relaxing on the deck or unwinding in your backyard. 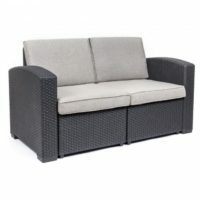 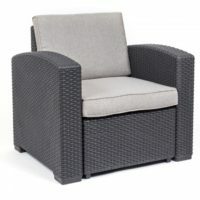 Designed from high-quality injection molded material, the woven, rattan style is durable and won’t sag. 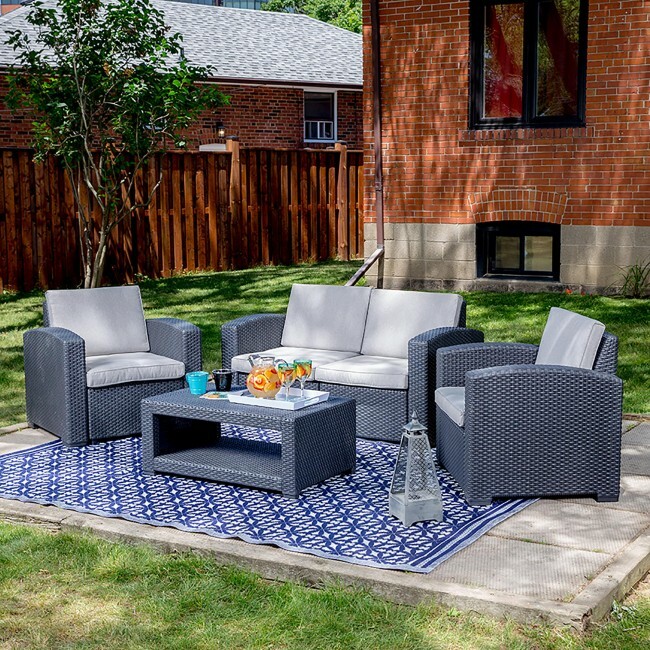 Assembly is easy – pieces snap together with no bolts or screws, so you won’t have to deal with any rust, even through harsh winters. 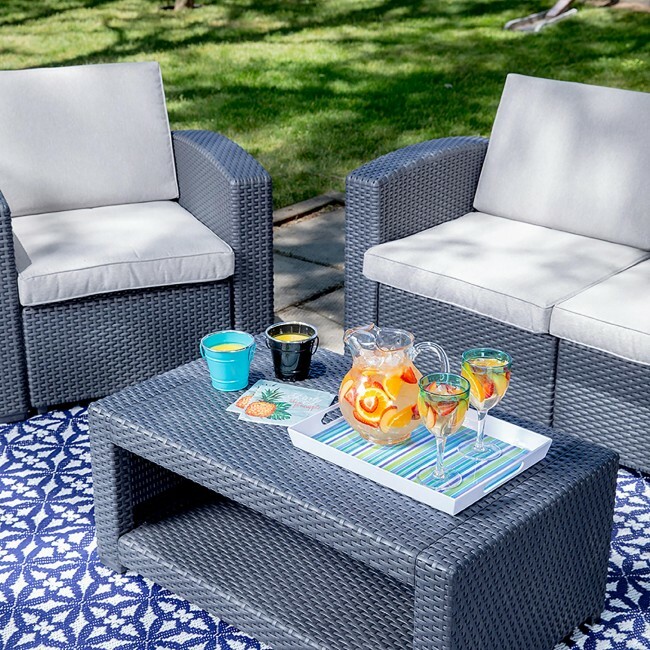 Just wipe or hose it down and you’re good to go. 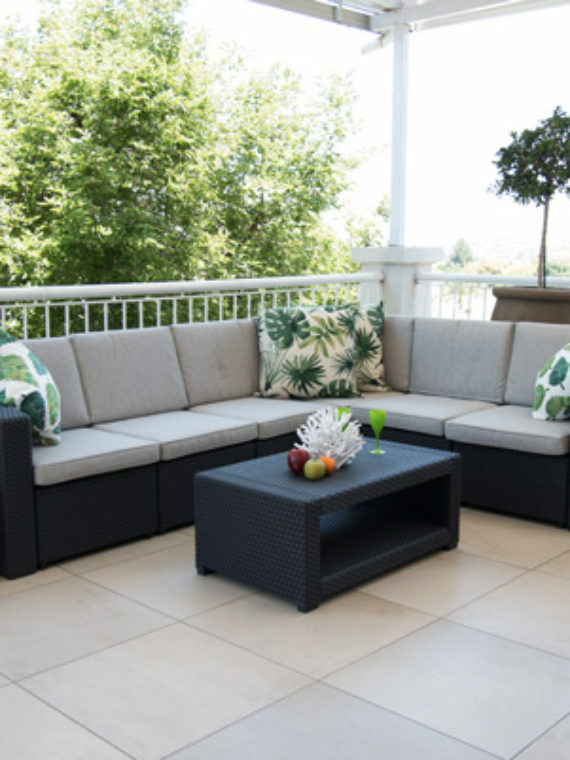 The neutral, on-trend style suits any space, whether you’re relaxing in your backyard, cottage or on your balcony.